Valentine’s Day may be one of the trickiest holidays to navigate when trying to find the perfect gift for the people you love. First off, it seems like this holiday has prescribed gifts that no one should deviate from: the box of chocolates, red roses, greetings cards oozing with over-the-top sentimentality, elegant dinners at crowded restaurants….boring! This year, celebrate this day of love and affection by stepping outside of the Valentine’s Day comfort zone! 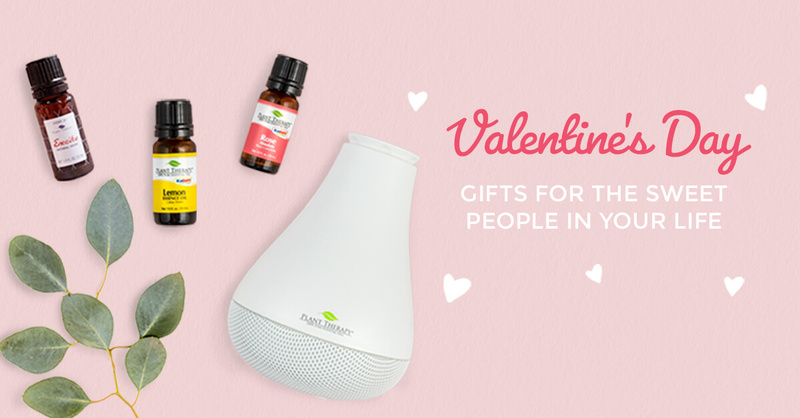 Whether you are spending time with your main squeeze or crazy amazing BFFs, we want to help you come up with some gifts that are unique and thoughtful. Got a certain someone in mind who gives you those tummy butterflies? You’re going to want to give them something that lets them know you want to cozy up and get close! Available both as an undiluted blend and a pre-diluted roll-on, this exceptionally romantic and sensual blend can spice up any special evening. The floral overtones of Ylang Ylang Complete and Jasmine Absolute give way to the more subtle, woody notes of Sandalwood Australian and Patchouli. Orange Sweet and Lavender round out the blend for an overall balance. Take your evening a bit further with this luxurious blend of carrier oils, specifically made for bodywork. It contains the carrier oils of Almond, Fractionated Coconut, Jojoba, Meadowfoam, and Sunflower. Together, the skin feels soft, conditioned, and nourished thanks to a diverse mix of beneficial fatty acids and vitamins A, B, D, and E.
Here’s a little tip: enhance the massage by blending in some Sensual! For an ounce of Marvelous Massage, add 27 drops of Sensual for a 3% dilution. She’s been with you through thick and thin and always brings out your best! 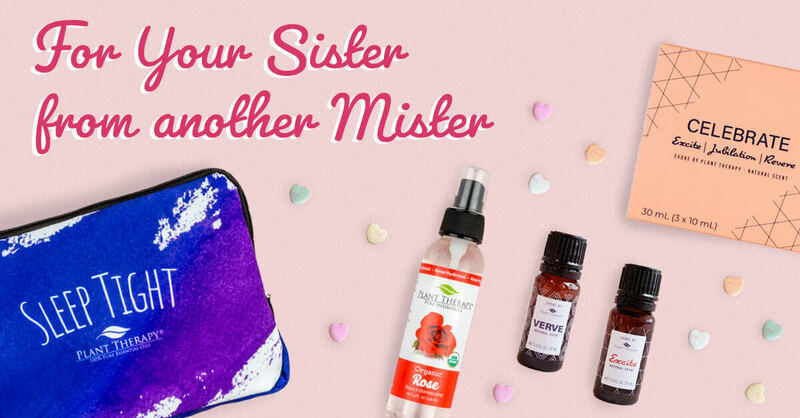 Don’t forget to show your bestie all the love she deserves with a gift that’s is as one-of-a-kind as she is! A new line, new scents, new look—the perfect way to celebrate the amazing lady in your life! Two choices to help your bestie get amazing sleep. Each set is designed to have everything needed to help calm and relax the mind and body—Bubble bath specially designed eye masks, relaxing, undiluted essential oil blends, and so much more! This special line helps to balance the seven major chakras of the natural energy system in our bodies. These beautiful fragrances have been pre-diluted for super easy application! Hydrosols are amazingly gentle, safe, and easy-to-use products that can be used in tons of ways! Rose helps bring a sense of well-being and peace to the senses and can be used as a room or linen spray, added to a bath, or enjoyed as a fabulous personal fragrance! Yes, bouquets of flowers are nice, but this year, why not try something a different? 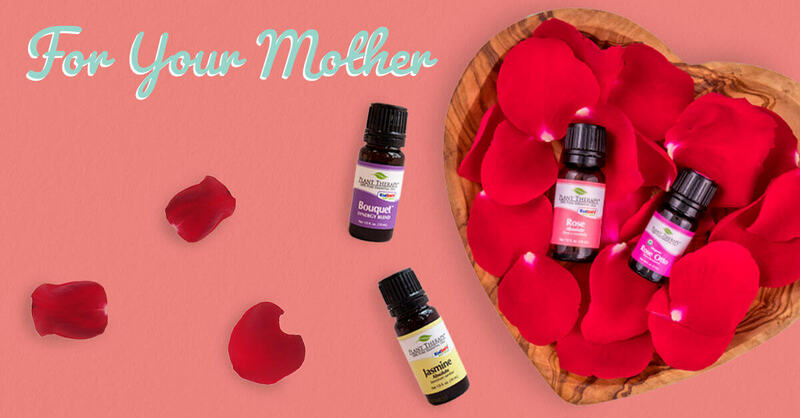 Pamper your mom by treating her to the beautiful aroma of a bouquet—whenever she wants! Rose Absolute is extremely useful in skin rejuvenation, as it counteracts the visible signs of aging, reducing the appearance of wrinkles and helping smooth skin. Mom’s gonna love it! Rose Otto has a wonderful, floral aroma that will transfer mom to a rose garden in seconds. Its therapeutic properties have been used for centuries to heal dry, reddened skin, comfort the mind during times of duress and extreme sadness, as well as create a natural perfumery that is loved by all. Unlike Rose Absolute, Rose Otto is hydrodistilled and is a very rare addition to any essential oil collection. 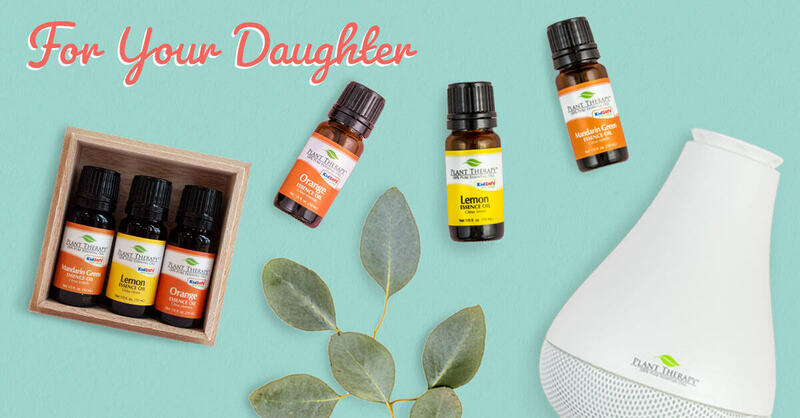 This beautiful, bright blend is a refreshing, floral, and zesty choice for mom! The glorious aroma can help lift her out of her daily worries and stresses while providing a sense of lightness and ease! Uplifting, calming, and great for gently smoothing and revitalizing skin, this absolute is absolutely perfect for mom! It’s known to ease away feelings of tension and bolster feelings of self-confidence. Each month Plant Therapy delivers a unique product straight to the member’s door! It’s a fun surprise for mom that reminds her of your love each time a new fun green package arrives. The love between a mother and daughter can hardly be captured in a gift, but that doesn’t mean you shouldn’t get one! Each unique essence (Orange, Mandarin Green, and Lemon) captures what we love best about these favorite citrus essential oils while providing scents that are brighter than ever! A great diffuser can infuse a room with delightful fragrances! Our NovaFuse is sleek and powerful so your daughter can enjoy her favorite essential oils whenever she likes. And don’t forget to check out the Safe Essential Oil Recipes group on facebook! There are tons of amazing DIY recipes made by passionate EO enthusiasts to help get your creative juices flowing. Great ideas! My newest hobby is scouring Plant Therapy’s DIY recipes for handcrafted gifts for family and friends. I made roller balls for Valentine’s for my aunts using Joyful Creation synergy and Clear Intuition synergy. They’re already asking for more! Such great gift ideas! 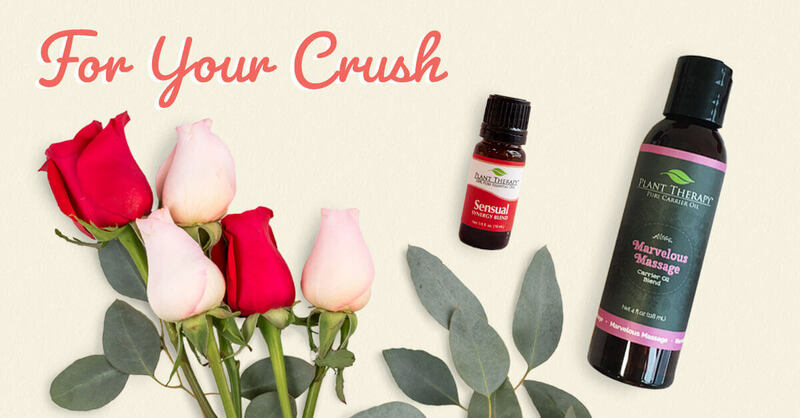 Oil of the month would be such a fun surprise gift that keeps on giving! Love all the ideas especially ones that helps sleep, de stress and chakras. Great gift ideas! I know I am looking forward to trying Sensual in the Massage oil! I have the sensual oil in my collection, I still have a lot and use it sparingly…it absolutely smells yummy!! Great gift ideas! I’ll definitely be making the massage oil blend with Sensual! Great gift ideas! I’m also looking forward to making some sensual bath bombs using the oils they suggested for Valentine’s. Thanks plant Therapy. You have such a creative, awesome blog! Quick question, on your roll on valentine’s day card download, it says 10 drops of your favorite EO and 10 drops of poly 20, or vodka etc. But that’s it, shouldn’t remainder of 10 ml bottle include a carrier oil? Or did I miss something? Also, does vodka or witch hazel (I don’t have poly 20) act as a preservative or a drying agent or other purpose? Guess that was two questions, lol…thanks! That’s a great catch, Hollie-Jo. I’m going to bring this up to the team right now and see if it either needs to be edited or if it is written as intended — then I will let you know! The Novafuse is on my wishlist! Can’t wait to have a second diffuser. I want Rose oil so bad!! I love my Rose Hydrosol for my face! These suggestions are so tempting. I need the Rose Otto. Awesome ideas for Valentine’s Day. Love the cards! Wonderful gift ideas! I think I will gift the Rose Hydrosol to my mother this Valentines!